Single-Face Sneezeguard Carriers - Cal-Mil Plastic Products Inc. The Single-Face Sneezeguard carrier is the solution to damaged sneezeguards during transportation. 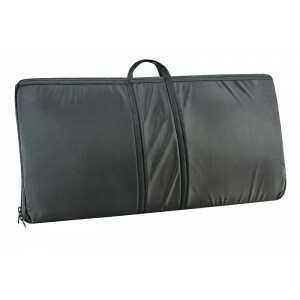 The fully padded carrying bag has slots for the sneezeguard legs, and plenty of cushion on both sides to protect from scratches.